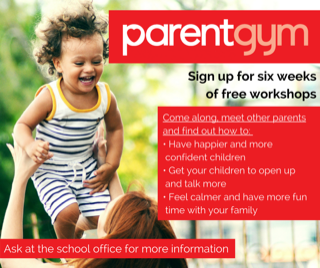 Did you know that on 13th May we are giving an introduction to Parentgym with the first session being on 20th May each week in the Butterfly room here at Parson Street. All sessions will be ran by Caroline Jenkins. Please click the link below if you would be interested in joining this supportive and informative group, giving you skills and help in all areas of parenting. 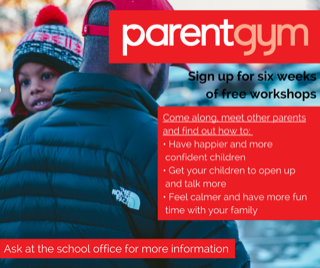 Within the link is further information and a short video with a summary of the benefits of joining Parent Gym, the programme structure, dates and times and a sign up area to register your place. 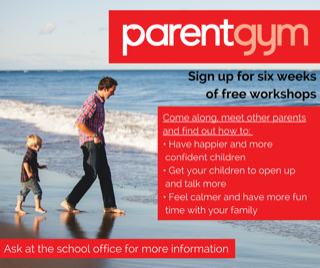 Please note that we only have a limited number of spaces so don't delay.